The bill’s passage was not without opposition: While it sailed through the state House and was approved unanimously by the state Senate, the measure nonetheless overcame outside opposition. Colorado Governor John Hickenlooper (D) on Monday signed a bill into law that allows schoolchildren access to medical cannabis products on school grounds. The bill in question —House Bill 16-1373, dubbed “Jack’s Law”– requires state school districts to allow primary caregivers to administer medical cannabis to their children during school, as well as at school-sponsored events and on school buses. The law stipulates that the product administered to the child must be in non-smokable form, delivered in such ways as through lotions, patches, oils, edibles, or tinctures. The law was named after Jack Splitt, a Colorado student whose debilitating muscle spasms are only treatable with medical cannabis. His medicine was confiscated by school officials, who explained simply that “cannabis is a controlled substance.” He and his mother then brought the case to state lawmakers. Jack’s mother, Stacey Linn, explained just how important medical cannabis products are to children like her son. These kids don’t have a lot of the things that normal kids have and one of the things that they have is school. And medical marijuana allows them to go to school in a way that they’ve never been able to before… This is what works, this is what they need to go to school and be kids. 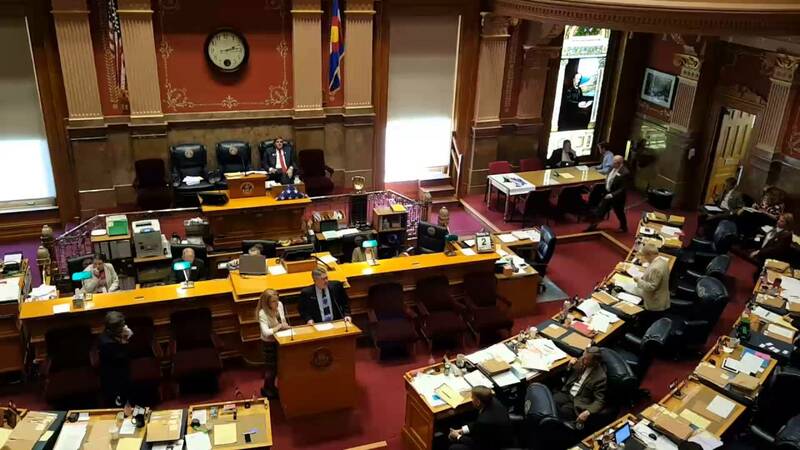 The bill was opposed by the powerful Colorado Association of School Boards (CASB). An attorney for the association, Kathleen Sullivan, iterated during testimony before lawmakers that because of the federal ban on cannabis and its derivative products, many Colorado schools were fearful that they could lose millions of dollars in funding. It was pointed out, however, that New Jersey has passed a similar law –the only other state in the union to do so– and has thus far not received a loss of federal funds as a result. The bill states that school districts can opt out if they are able to successfully prove that they have lost federal funding as a result of the law. Do you think that medical cannabis products should be allowed in schools? Tell us why on social media or in the comments below.